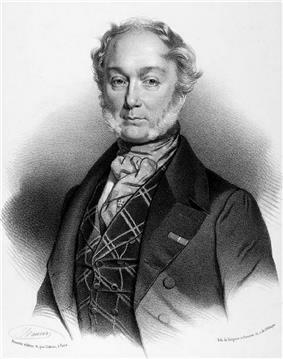 Vincenzo Salvatore Carmelo Francesco Bellini (Italian: ; 3 November 1801 – 23 September 1835) was an Italian opera composer, who was known for his long-flowing melodic lines for which he was named "the Swan of Catania". 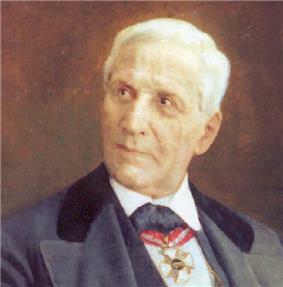 Many years later, in 1898, Giuseppe Verdi "praised the broad curves of Bellini's melody: 'there are extremely long melodies as no-one else had ever made before' "
A very large amount of what is known about Bellini's life and his activities comes from surviving letters—except for a short period—which were written over his lifetime to his friend Francesco Florimo, whom he had met as a fellow student in Naples and with whom he maintained a lifelong friendship. Other sources of information come from correspondence saved by other friends and business acquaintances. ...also hugely influential, as much admired by other composers as he was by the public. Verdi raved about his "long, long, long melodies....." Wagner, who rarely liked anyone but himself, was spellbound by Bellini's almost uncanny ability to match music with text and psychology. Liszt and Chopin professed themselves fans. Of the 19th-century giants, only Berlioz demurred. Those musicologists who consider Bellini to be merely a melancholic tunesmith are now in the minority. 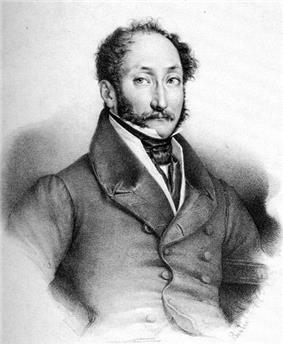 In considering which of his operas can be seen to be his greatest successes over the almost two hundred years since his death, Il pirata laid much of the groundwork in 1827, achieving very early recognition in comparison to Donizetti's having written thirty operas before his major 1830 triumph with Anna Bolena. 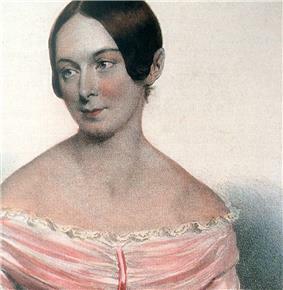 Both I Capuleti ed i Montecchi at La Fenice in 1830 and La sonnambula in Milan in 1831 reached new triumphal heights, although initially Norma, given at La Scala in 1831 did not fare as well until later performances elsewhere. "The genuine triumph" of I puritani in January 1835 in Paris capped a significant career. Certainly, Capuleti, La sonnambula, Norma, and I puritani are regularly performed today. After his initial success in Naples, most of the rest of his short life was spent outside of both Sicily and Naples, those years being followed with his living and composing in Milan and Northern Italy, and—after a visit to London—then came his final masterpiece in Paris, ''I puritani. 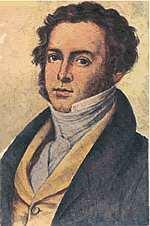 Only nine months later, Bellini died in Puteaux, France at the age of 33. Born in Voltaire's Zaïre", but this proved to be more challenging for Romani than first imagined. With this opera, Bellini encountered "the first serious setback of a hitherto brilliant career". Several reason have been put forward: Lippmann and McGuire note, it was because "Bellini showed too little enthusiasm for the undertaking". Another writer attributes it to Parma's traditional love of and favouritism towards the music of Rossini, while yet another notes that a combination of the composer being constantly seen in cafes around the city (when it was assumed that he should have been composing) and the fact that Romani had included a long explanation of the difficulties of adapting Voltaire in the printed libretto provided to all operagoers. The librettist was critical of his own work: "the style should have been more careful, and that here and there, certain repetitions of phrases and concepts should have been edited out". At the same time, he stated that, with music composed to those verses now in place, "I was not permitted to go back over what already had been done; and poetry and music were finished in less than a month". This short period of time compares to the months which, for example, it took Bellini to write Il pirata. The general impression given by reports in the press was that, overall, the music was weak, although some numbers and the trio were liked. However, for the most part, the singers were applauded, even if the composer received little. The opera received eight performances, followed by some poorly-received ones in Florence in 1836, and then it disappeared until 1976. Bellini then became preoccupied with staging a revival of his Il pirata during the summer season at the Teatro Canobbiana because La Scala was closed for repairs. Pirata was staged with the original cast and again was a triumph: it received 24 consecutive performances between 16 July and 23 August 1829, thus outnumbering Pacini's. During July and August, the composer Giachino Rossini visited Milan on his way to Bologna. He saw the Pirata production and met Bellini; the two men were taken with each other, to the extent that when the younger composer was in Paris a year or two later, he developed a very strong bond with Rossini. A firm offer of a contract for a new opera for Venice appeared in the autumn, a contract which also included a provision that Il pirata would be given during the Carnival 1830 season. Tearing himself away from dalliances with La Turina, by mid-December Bellini was in Venice where Giuseppe Persiani's Constantino in Arles was in rehearsal with the same singers who were to perform in Pirata: they were Giuditta Grisi, the tenor Lorenzo Bonfigli, and Giulio Pellegrini. My style is now heard in the most important theatres in the world...and with the greatest enthusiasm. Before leaving Venice, Bellini was offered a contract to produce another new opera for La Fenice for the 1830—31 Carnival season, and—upon his return to Milan after a reunion with Turina—he also found an offer from Genoa for a new opera but proposed for the same time period, an offer he was forced to reject. 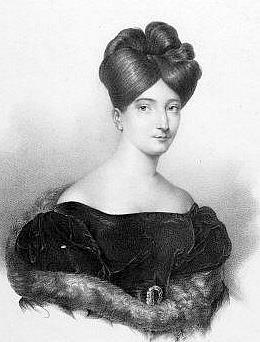 Later that year, Bellini prepared a version of Capuleti for La Scala which was given on 26 December, lowering Giulietta’s part for the mezzo-soprano Amalia Schütz-Oldosi (de). Returning to Milan after the Capuleti performances, little occurred until the latter part of April when changes began to appear in the management of La Scala. 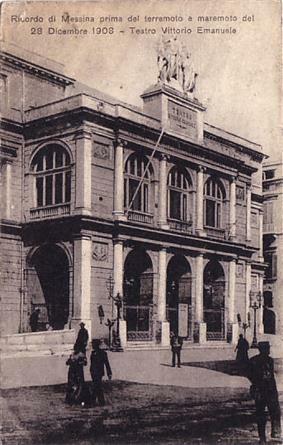 The organisation, "Criveli and Company" which had managed both that house as well as La Fenice, was negotiating with a triumvirate consisting of Duke Pompeo Litta and two businessmen, their immediate concern being the engagement of singers and composers for La Scala. In order to contract with Bellini, he had to be released from his obligation to Venice; this was achieved by Litta buying out the Venice contract. When Bellini laid out his terms for writing for Milan, Litta gave him a very favourable response: "I shall earn almost twice as much as if I had composed for Crivelli [then the Venetian impresario]" he noted in a letter to his uncle. However, the group led by Duke Litta failed to come to terms with the Criveli-Lanari-Barbaja group which continued to manage both La Scala and La Fenice. 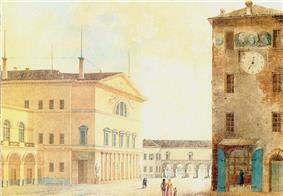 As a result, in the April–May 1830 period, Bellini was able to negotiate a contract with both the Litta group—which was planning performances in a smaller Milan house, the Teatro Carcano (it)—and with the Criveli group to obtain a contract for an opera for the autumn of 1831 and another for the 1832 Carnival season. These were to become Norma for La Scala and Beatrice di Tenda for La Fenice. 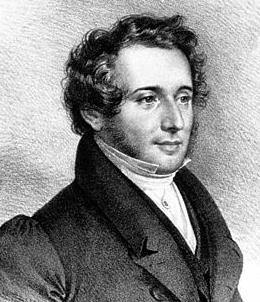 On 3 January 1831, a letter from Bellini stated: "...I am no longer composing Ernani because the subject would have had to undergo some modifications at the hands of the police.....[Romani] is now writing La sonnambula, ossia I Due Fidanzati svezzeri.... It must go on stage on 20 February at the latest." 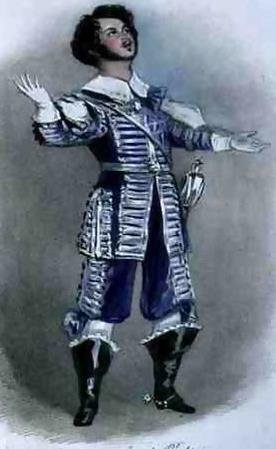 That music which he was beginning to use for Ernani was transferred to Sonnambula is not in doubt, and as Weinstein comments, "he was as ready as most other composers of his era to reuse in a new situation musical passages created for a different, earlier one". 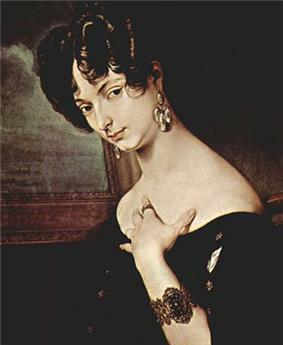 During Bellini's lifetime another sfogato, Maria Malibran, was to become a notable exponent of the role. 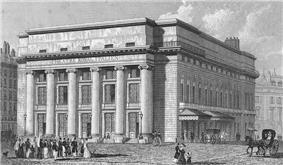 After its premiere, the opera was performed in London on 28 July 1831 at the King’s Theatre and in New York on 13 November 1835 at the Park Theatre. About this time he had received an offer to compose for the Teatro di San Carlo in Naples and, in return, had imposed some harsh terms, totally objecting to the English soprano Marianna Lewis, "a donna who is below mediocrity: does not know how to sing, is a sausage on stage..." He continues by stressing the need for a good tenor were he to come to Naples and, in a separate letter to be forwarded by Florimo, tells Principe di Ruffano, then the superintendent of the royal theatres, that he doubts that Barbaja would even agree to the fee already offered to him by La Scala, a total of 2,400 ducati, when he would want 3,000 ducati from Naples for all the additional expenses which he would incur. In a post script, Bellini adds an indignant objection to what he has heard about the proposed casting of Capuleti in Naples. It is clear that he regards Barbaja as an enemy. Our Norma is decidedly a great success. If you heard how it's performed in Bergamo, you'd almost think that it was a new work....[Pasta] even moves me. In fact, I wept [with] the emotions I felt in my soul. I wanted you near me so that I could have these emotions with you, my good advisor and collaborator, because you along understand me. My glory is intrinsic to yours. The subject has been changed, and we'll write Beatrice di Tenda [after the play of the same name by Carlo Tedaldi-Fores.] I had a hard time persuading Romani, but persuade him I did, and with good reasons. Knowing that the subject pleases you, as you told me the evening when you saw the ballet [in September 1832 in Milan when it accompanied a Mercadante opera]...He is a man of good will, and I want him to show it also in wanting to prepare at least the first act for me swiftly. Bellini's expectation that Romani's good will would be demonstrated promptly, turned out to be a mistake. 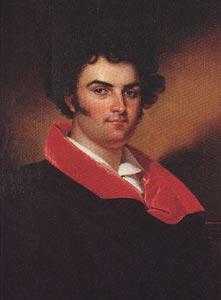 The librettist had vastly over-committed himself: by the time that Christina became Beatrice, he had made commitments to Mercadante for an October opera; also to Carlo Coccia for an opera for La Scala on 14 February 1833; and further, to Luigi Majocchi for a Parma production on 26 February; to Mercadante for La Scala on 10 March; and to Donizetti for Florence on 17 March. Nothing happened in November; Bellini announced that he would arrive in Venice in early December and after 10th, he became preoccupied with rehearsals for Norma. However, the lack of any verses—for an opera which was supposed to be staged in the second half of February—caused him to have to take action against Romani. This involved a complaint lodged with the governor of Venice who then contacted the governor of Milan, who then had his police contact Romani. 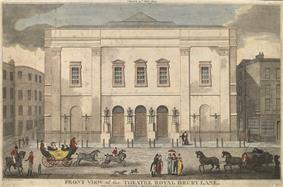 The librettist finally arrived in Venice on 1 January 1833. 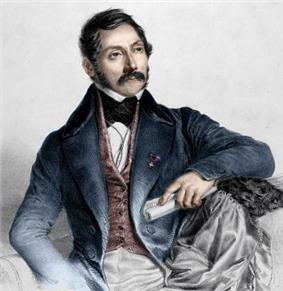 He holed up to write Bellini's libretto, but, at the same time, Donizetti was equally incensed at delays in receiving a libretto from Romani for an opera which was to be Parisina. Weinstock assumes that it is Locatelli who replied to "A.B. 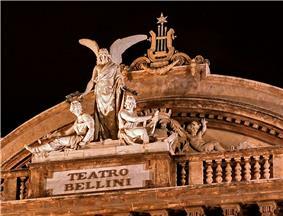 ", asserting that Bellini and Romani were trying to achieve perfection before taking the opera to London. Then a torrent of anti-Beatrice letters appeared after the first performance, followed by a pro-Bellini reply, signed "A friend of M. Bellini". This letter removes the blame from Bellini and lays it at the feet of Romani, outlining the timetable for the delivery of the libretto, which was contracted to be due in two parts: one in October and then the second in November. The author states that, except for a limited amount of text, nothing had been received by mid-January and the piece continues by describing the legal proceedings taken by Bellini and the various setbacks which occurred even after Romani arrived in Venice. On 2 April, this provoked a response from Romani himself, presenting his case against Bellini based largely on the composer's inability to decide on a subject, as well as justifying all the work which he did after arriving in Venice, only to find his melodramma "touched up in a thousand ways", in order to make it acceptable to "the Milords of the Thames [who] await him", a saracatic reference to planned trip to London. Another, a more "venomous" version of this letter, was sent to Milan's L'Eco. After leaving Venice on 26 March, before the barrage of letter-writing began, it is known that Bellini spent some time with Turina in Milan and, leaving many of his personal possessions with her, appears to have planned to return there by August since he did not give up his rooms in the contrade dei Re Monasteri. With the Pastas and other members of the Italian troupe contracted for London by the impresario of the King's Theatre, Pierre-François Laporte, Bellini and his troupe set off. On the journey it is known that he stopped in Paris and discussed with Dr. Louis Véron, the director of the Paris Opéra, the possibility of writing a French opera, but his intention was to focus on that subject on his return in the coming July. 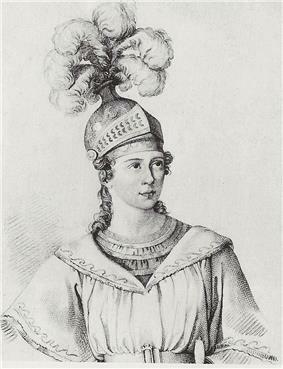 As Weinstock notes, when the Italians arrived in London by 27 April, Bellini was a known factor, many of his operas having already been given over the previous few years. His name is listed as an attendee in the Morning Chronicle of 29 April at a performance of Rossini's La cenerentola, along with those of Maria Malibran, Felix Mendelssohn, Nicolo Paganini, as well as Pasta, Rubini, and other visiting Italian singers. 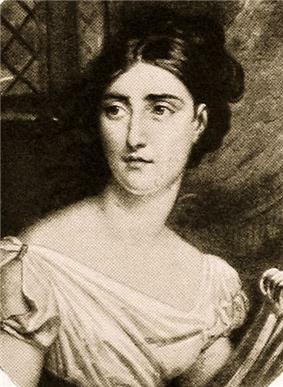 His operas which had been presented in London included Il pirata (with Henriette Méric-Lalande in April 1830) followed by La sonnambula (with Pasta) and La straniera with Giuditta Grisi). my music was tortured, torn to shreds....Only when Malibran was singing did I recognise my [opera]...but in the allegro of the final scene, and precisely at the words 'Ah! m'abbraccia'....I was the first to shout at the top of my voice: 'Viva, viva, brava, brava,' and to clap my hands as much as I could. [When he was recognised by the audience, who became more and more enthusiastic, he was called to the stage where he embraced Malibran. He continues:] My emotion was at its climax. I thought I was in Paradise". As the opera season progressed, Bellini found himself caught up in the social whirl, with invitations coming from all around him. 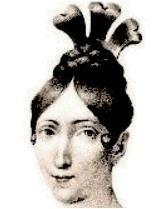 His fame was now secure—La sonnambula having established it—and the premiere of Norma, given on 21 June with Pasta in the title role, was a triumph according to a long letter which Giuseppe Pasta wrote about the experience and his wife's huge success, as well as reports in the London press, including The Times of 23 June 1833. 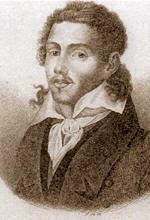 It took until late July for I Capuleti e i Montecchi to be given its London premiere and his contract was then over. He left for Paris by about mid-August. 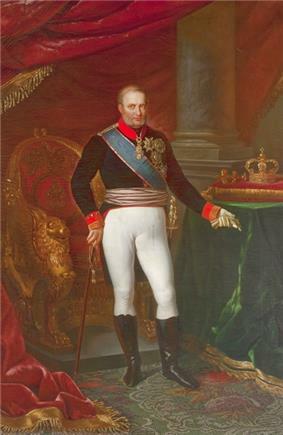 When he arrived in Paris in mid-August 1833, Bellini had intended to stay only about three weeks, the main aim being to continue the negotations with the Opéra which had begun on his way to London a few months earlier. While there was no agreement with Véron at the Opéra, the Théâtre-Italien made him an offer which, Bellini notes, he accepted because "the pay was richer than what I had received in Italy up to then, though only by a little; then because of so magnificent a company; and finally so as to remain in Paris at others' expense." In fact, Éduard Robert and Carlo Severini of the Italien had written to the composer, offering a seat in the their theatre during his stay in the city and telling him that Grisi, Unger, and Rubini would be singing Pirata in October and Capuleti in November. But with no definite arrangements having been made to compose for the Italian house—and Bellini essentially not wishing to proceed with an offer from Turin to stage Norma—he began to getting settled in a new, small apartment. He wrote to Florimo, telling him about the lodgings and that he had written to Turina not to sell any of his furniture, but to send some of it to him. 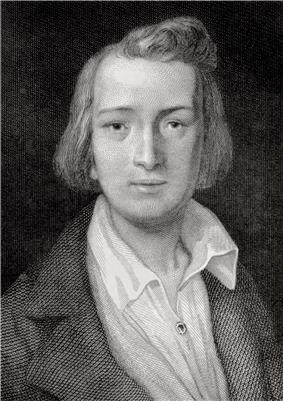 Quickly, Bellini entered the fashionable world of the Parisian Alexandre Dumas pėre, and Heinrich Heine. 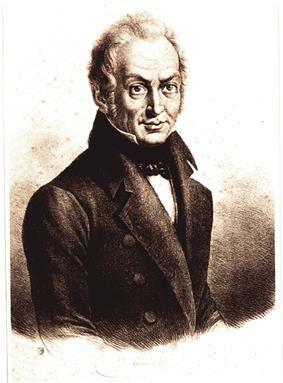 Among the many musical figures were several Italian such as Michele Carafa and the imposing Luigi Cherubini, then in his seventies. 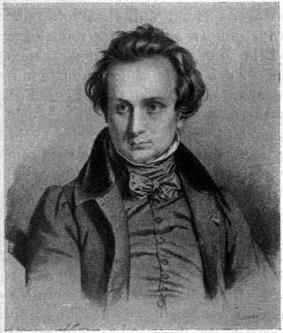 In terms of musical activity—or lack thereof—Bellini pleaded guilty in the letter to Florimo in March 1844: "If you reflect for a moment that a young man in my position, in London and Paris for the first time, cannot help amusing himself immensely, you will excuse me." However, in January 1834, he had signed a contract to write a new opera for the Théâtre-Italien which would be presented at the end of the year. At the same time, he had been invited to write a new opera for the San Carlo in Naples for the 1834-1835 Carnival season, but declined given the Paris commitment and stated that it might be possible to do so by May 1835 when he knew who were to be the contracted singers. Florimo immediately began to try to persuade his friend to take up this offer, indicating that Malibran had been engaged for Naples in January 1835. 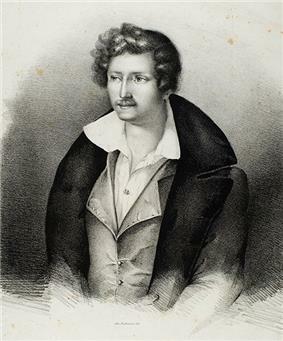 On a professional level, Bellini became very concerned around the middle of April 1834, when he learned that Donizetti would be composing for the Théâtre-Italien during the same season, 1834—1835. According to Weinstock, quoting letters sent to Florimo in Italy at around that time (and continuing almost up to the premiere of I puritani), Bellini perceived this to be a plot orchestrated by Rossini. In a long, rambling letter of 2,500 words to Florino of 11 March 1834, he expresses his frustrations. But over a year later and with hindsight—after Puritani's great success which came way ahead of that of Donizetti's first work for Paris, Marin Faliero—he outlines "the plot which was being hatched against me" and the strategies which he adopted to counter it. 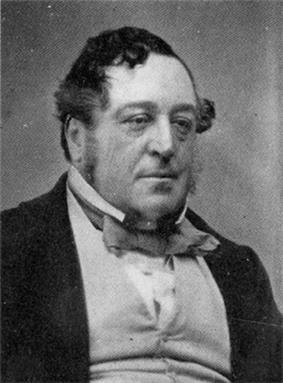 These strategies included expanding his contacts with Rossini to secure his growing friendship by continuing to see him on numerous occasions to seek his advice, noting "I have always adored Rossini, and I succeeded, and happily....[having] tamed Rossini's hatred, I no longer was frightened and finished that work of mine which won me so much honour". In a series of letters to Florimo throughoutthe year, he wrote of Rossini's increasing support, even love: "I hear that he speaks well of me" (4 September 1834); "...if I have Rossini's protection, I'll be situated very well" (4 November); "The most beautiful is that Rossini loves me very, very, very much" (18 November); and "...my very dear Rossini who now loves me as a son" (21 January 1835, following the dress rehearsal). In the same letter he continues by stating that he was working towards finding a subject with the Italian emigré, Count Pepoli, who came from a prominent Bologna family and who had been active in opposition to Austrian rule of Italy, until forced into exile in France and England. Although Pepoli had yet to write for the opera house, he made acquaintance with Bellini at one of the salons both attended. The process of writing the libretto and working with the composer was a struggle (notes Weinstock), added to by a period of illness which Bellini reports, although—on 11 April—he is able to report in a letter to Ferlito that he was well and that "I have chosen the story for my Paris opera; it is of the times of Cromvello [Cromwell], after he had King Charles I of England beheaded." 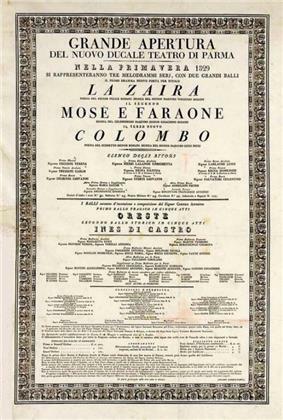 In his letter, he continues by providing a synopsis, indicating that his favourite singers—Giulia Grisi, Rubini, Tamburini, and Lablache—would be available for the principal roles, and that he would begin to write the music by 15 April if he has received the verses. He also referred to the offer from Naples for April 1836 and noting his financial demands with the questions as to how this might be received. The French had all gone mad; there were such noise and such shouts that they themselves were astonished at being so carried away.... In a word, my dear Florimo, it was an unheard of thing, and since Saturday, Paris has spoken of it in amazement....I showed myself to the audience, which shouted as if insane....How satisfied I am! [He concludes by noting the success of the singers]: "Lablache sang like a god, Grisi like a little angel, Rubini and Tamburini the same." 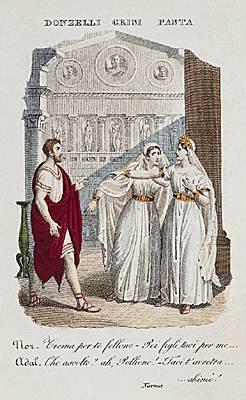 Throughout May, accounts came to him from London of the success of I puritani and the failure of a revival of Norma (due to the poor performances by both the Adelgisa and Pollione), although later reports of Giulietta Grisi's Norma—in contrast to those of Pasta—were not good either, and Bellini was pleased that it was not Grisi who gave the opera in Paris. Over the summer, Bellini's general mood was reported to be "dark": discussion with the Opéra could not proceed until a new director was appointed; "he writes long letters, crowded with projects, ideas, reveries that the hand seems to have trouble restraining"; and, as Weintock concludes, all of these things seem to "inescapably suggest a man deeply disturbed physically, psychologically, or both". The rather superstitious Bellini was horrified. 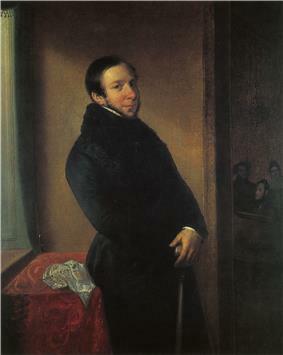 Also, when Heine's literary portrait of Bellini, which became part of his unfinished novel Florentinische Nächte (Florentine Nights) was published in 1837, it emphasized the less-appealing aspects of the composer's personality, summing up a description of him as "a sigh in dancing pumps". From between mid-August and early September, Bellini wrote his last-known letter to Filippo Santocanale on 16 August, followed by one to Florimo on 2 September. In the latter, he mentions that "for three days I've been slightly disturbed by a diarrhea, but I am better now, and think that it is over." 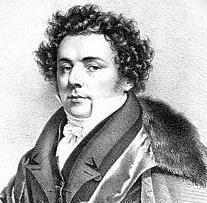 It was clear from Bellini's reaction to Heine's remarks, that he did not like him. 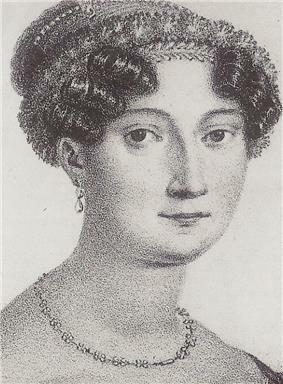 Attempting to reconcile the two men, Madame Joubert, who had attended the summer event, invited both to dinner, along with her friend the Princess Belgioioso. Bellini failed to appear, instead he sent a note stating that he was too ill. Weinstock reports that the principessa sent Doctor Luigi Montallegri to Puteaux. Over a few days, he reported to Carlo Severini of the Théatre-Italien with four notes, the first (on 20 September) stated "no appreciable improvement". On the following day, Montallegri reported a slight improvement, and on 22nd, the doctor stated that he "hopes to declare him out of danger tomorrow". However, the fourth note—on 22 September—is far more pessimistic; it reported that it was the thirteen day of the illness and that Bellini had "passed a very restless night". And then, during the daytime of the 23rd, Montallegri indicated what Weinstock describes as "a terrifying convulsion" and that death was close. 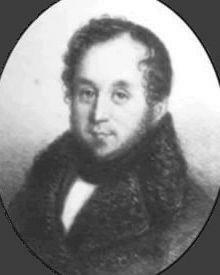 It appears that Bellini died at around 5pm on 23 September 1835. ...Perhaps no composers other than ours, know as well as Bellini the necessity for a close union of music with poetry, dramatic truth, the language of emotions, the proof of expression. Today, the Museo Belliniano, housed in the Gravina Cruyllas Palace in Catania—Bellini's birthplace—preserves memorabilia and scores. Bellini resisted any emotional commitment, and never married; leading to speculation as to his sexuality. The central relationship in Bellini's life seemed to be with Francesco Florimo stemming from his student days at the Naples Conservatory, and who came from a village close to Catania. Over Bellini's lifetime, the two shared a close correspondence, the source of much of the information which is known to us about the composer's life via the (sometimes) very long letters which Bellini wrote to him from the many places in which he lived and to which he travelled. 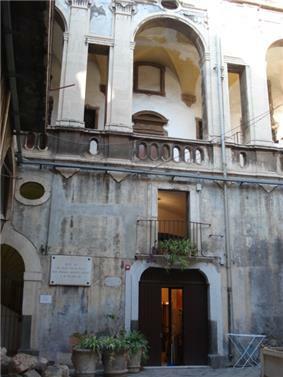 Meanwhile, Florimo remained in Naples, ultimately becoming the Conservatoire's librarian. The two men addressed each in very affectionate terms; Bellini wrote in 1825: "Your existence is necessary to mine". 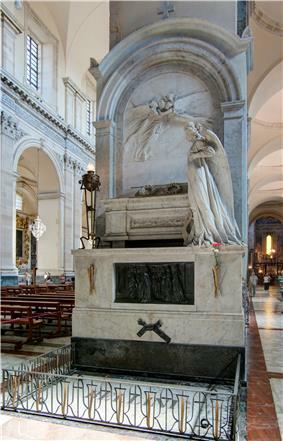 However, once Bellini left Naples for Milan, they saw each other very infrequently, the last time being in Naples in late 1832 when Bellini was there with Giuditta Turina and before they left to return to Milan via Florence. Florimo's published recollections—from fifty years away from the events which they recall—may be flawed. In later years, Bellini declared that Florimo "was the only friend in whom [I] could find comfort". It is unclear whether the relationship was ever physical. After Bellini's death Florimo was treated as his spiritual heir, as well as his literary executor. Although the frustrating affair with Maddalena Fumarolis which, as noted above, came to nothing during these early years, the success achieved by Bianca e Gernado gave Bellini fresh hope that her parents would finally relent, and a new appeal was made through a friend. This was utterly rejected by Maddalena's father, who returned all the letters which she had received along with a letter from him stating that "my daughter will never marry a poor piano banger (suonatore di cembalo)". However, when Florimo gave him the news, he said that he was going to try again and win, but the next move was to come later from the Fumarolis family. 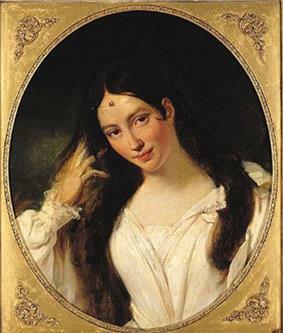 The one significant relationship which Bellini had after 1828 was the five-year relationship with Giuditta Turina, a young married woman with whom he began a passionate affair when both were in Genoa in April 1828 for the production of Bianca e Fernando. Their relationship lasted until Bellini went to Paris. Perhaps because her marriage was irrevocable and not based on love, and because the lovers were discreet, her husband, Fernandino, and his family seem to have tacitly permitted the relationship. Bellini’s letters to his friend Florimo indicate his satisfaction with the nature of the liaison, particularly because it kept him from having to marry—and thus becoming being distracted from his work. However, Turina maintained contact with Florimo throughout her life, although was heard from her after his death until she wrote a sad-but-friendly letter to Florimo Florimo returned the friendship and, as Galatopoulos notes, "the death of Bellini was a mutual loss and Florimo needed Giuditta as much as she needed him" so that the two corresponded for years and Florimo visited her in Milan "at least once, in 1858". 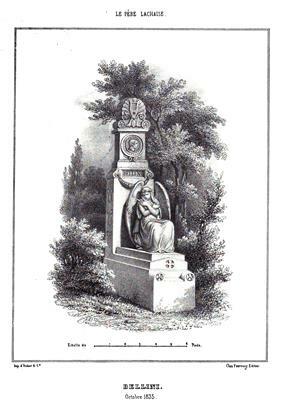 She died on 1 December 1871. ^ Giovanni (no surname provided) to "Uncle Ignazio" ("identified as Ignazio Giuffrida-Moschetti, Catanese friend of Bellini" in Weinstock), 18 January 1832, quoted in Weinstock 1971, pp. 109—110: the actual original wording was "the Swan of Sicily, or to phrase it better, of Catania". ^ Weinstock 1971. pp. 37—38: Weinstock explains that the reason for the uncertainty over the exact date is due to a series of deaths of prominent people (including Bourbon King Ferdinand I) which caused all public entertainment to stop during periods of mourning. ^ quoted in Weinstock 1971, pp. 130—131, but its authenticity is suspect. Walker, Frank, "Giuditta Turina and Bellini", Music & Letters, Vol. 40, No. 1, January 1959, pp. 19–34. Oxford University Press accessed from JSTOR (by subscription), 9 August 2014. 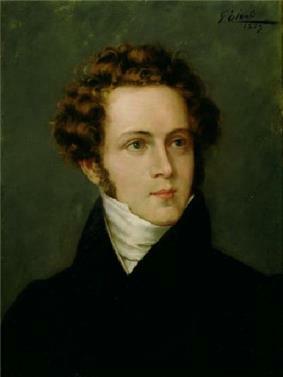 Three days later, the same publication praised the quality of the music, describing Bellini as "a modern Orpheus" for the beauty of his melodies. Reporting to Romani, who was still in Venice, Bellini gave an account of the success: "the thing went as we never had imagined it. We were in seventh heaven. With [this letter] receive my gratitude more than ever...." Others wrote equally enthusiastic reports, with abundant praise being given to the singers as well. However, there were detractors who criticised both the opera and its composer: its new style and its restless harmonic shifts into remote keys did not please all. 45 years later it was stated that "Bellini's style was abstruse, discontinuous, distorted, and lacking in distinction, that it alternated among the serio and the buffo and the semi-sererio." Following Romani's recovery, the delivery of the libretto arrived piecemeal, but Bellini set to work again; progress was slow. By 7 January 1829, with Romani having recovered and set off for Venice to fulfill a contract, the composer was "almost up to the 2nd act". Filippo Cicconetti, in his 1859 biography, gives an account of Bellini's working methods, explaining how he set texts to music always with the words in front of him in order to see how inspired to compose he might become. When it came time to compose the final aria Or sei pago, ol ciel tremendo, the librettist's words gave him no inspiration at all and, at their next meeting, Romani agreed to re-write the text. Returning within half an hour, the second version left Bellini equally cold—as did a third draft. Finally, when asked what it was that he was seeking, Bellini replied: "I want a thought that will be at one and the same time a prayer, an imprecation, a warning, a delirium....". A fourth draft was quickly prepared: "Have I entered into your spirit?" asked the librettist—and he was embraced by the young composer. 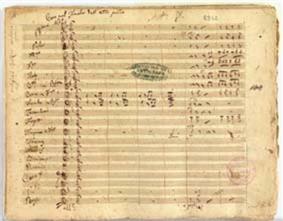 The collaboration with Romani on Il pirata began in May 1827 and, by August, the music was being written. 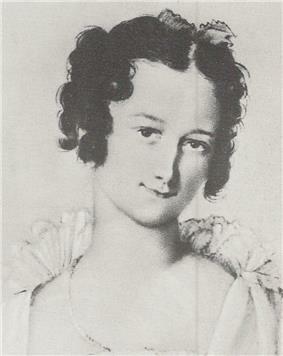 By then, the composer was aware that he was to write music for his favourite tenor Giovanni Battista Rubini and the soprano was to be Henriette Méric-Lalande. 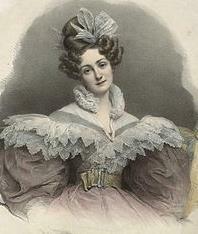 Both singers had starred in Bianca in the original 1826 production. The strong cast also included Antonio Tamburini, a major bass-baritone of the time. But rehearsals did not progress without some difficulties, as both Weinstock and Galatopoulos recount: it appears that Bellini found Rubini, while singing beautifully, to be lacking expressiveness: he was urged to "throw yourself with all your sole into the character you are representing" and to use [your] body, "to accompany your singing with gestures", as well as to act with [your] voice. It appears that Bellini's exhortations bore fruit, based on his own account of the audience's reactions to the first performance, as well as the reaction of Milan's Gazzetta priviligiata of 2 December which noted that this opera "introduced us to Rubini's dual personality as a singer and actor". The reviewer continued to declare that this duality had never been expressed in other operas in which he had performed. 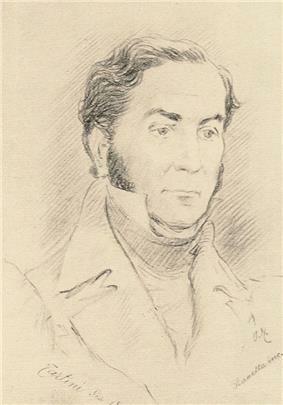 Within nine months, in February/March 1827, Domenico Barbaja offered Bellini a commission for an opera to be presented in the autumn of 1827 at Milan's La Scala, of which between 1821 and 1832, Barbaja was also part of the management. 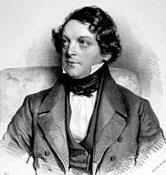 In the summer or early autumn of 1825 Bellini began work on what was to become his first professionally-produced opera. A contract between the Conservatory and the royal theatres obliged the Conservatory—when it nominated a sufficiently talented student—to require that student to write a cantata or one-act opera to be presented on a gala evening in one of the theatres. 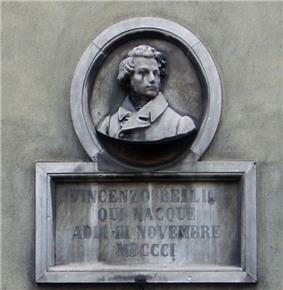 After Zingarelli used his influence to secure this honour for his promising student, Bellini was able to obtain agreement that he could write a full-length opera and, furthermore, that the libretto did not have to be written by Tottola, the theatres' official dramatic poet. However, as Intendant of the San Carlo, "Barbaja was the chief beneficiary: 'With a small investment he found among those young men the one who would lead him to large profits'" notes Florimo. The impetus to write this opera came about in late summer or early autumn of 1824. Given his status at the conservatoire, Bellini learned that he had been selected to compose an opera for presentation at the Collegio's teatrino. 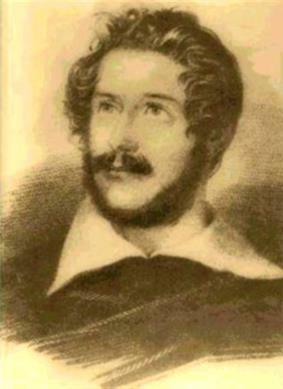 This became Adelson e Salvini an opera semi-seria (half-serious) from a libretto by the Neapolitan Andrea Leone Tottola, who had written the one for Donizetti's La zingara. Adelson was first given sometime between mid-January and mid-March 1825. The opera featured an all-male cast of fellow students and proved to be so popular among the Conservatory's student population that it was performed every Sunday for a year. 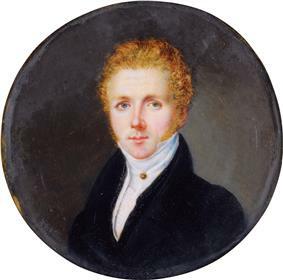 Increasingly, Bellini did better and better in his studies: in January 1820 he passed his examinations in theory, and was successful enough to gain an annual scholarship, which meant that his stipend from Catania could be used to help his family. In the following January he was equally successful and, to fulfill his obligations to write music for Catania—a condition of his scholarship—he sent a Messa di gloria which was performed the following October. 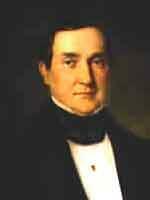 His involvement in Zingarelli's class took place over the 1822/23 school year. 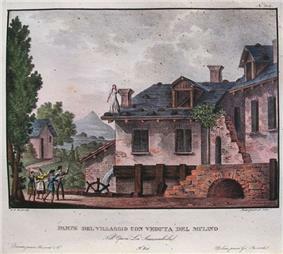 By January 1824, after passing examinations where he did very well, resulted in his being given the title of primo maestrino, a post which required him to tutor younger students, allowed him to have a room of his own in the Collegio, and also allowed him visits to the opera on Thursdays and Sundays, where he saw his first opera by Rossini, Semiramide. While Weinstock gives an account of how he was "clearly captivated by the music of Rossini....he put Rossini on a pedestal", he relates that, returning from the performance Bellini was unusually quiet and then "suddenly exclaimed to his companions, 'Do you know what I think? After Semiramide, it's futile for us to try and achieve anything' "
Another person to whom the young student/composer was introduced was Gaetano Donizetti whose ninth opera—which had been a great success in Rome—was given at the Teatro di San Carlo. 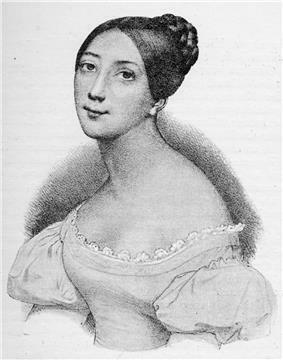 About 50 years later, Florimo gave an account of the meeting of the two men: "Carlo Conti [one of Bellini's tutors] said to Bellini and me, "Go and hear Donizetti's La zingara, for which my admiration increases at every performance." After hearing the opera, Donizetti acquired the score, convinced Conti to introduce him, and [Florimo] reports that Bellini's reaction was that he was "a truly beautiful, big man, and his noble countenance—sweet, but at the same time majestic—arouses affection as well as respect." If your compositions "sing", your music will most certainly please......Therefore, if you train your heart to give you melody and then you set it forth as simply as possible, your success will be assured. You will become a composer. Otherwise, you will end up being a good organist in some village. 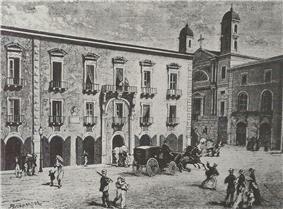 The Conservatorio di San Sebastiano (as it had been named when the original Real Collegio di Musica, established in 1806 and then renamed as such in 1808) had moved to more spacious facilities close to the church of Gesù Novo and the building formerly occupied by the nuns of San Sabastiano, was run by the government and there, students, who wore semi-military uniform, were obliged to live under a tight daily regimen of classes in principal subjects, in singing and instrumental coaching, plus basic education. Their days were long, going from early morning mass at 5:15am to finally end by 10pm. Although beyond the normal age for admission, Bellini had submitted ten pieces of music for consideration; these clearly demonstrated his talent, although he did need to do remedial work to correct some of his faulty technique. With several other orchestral pieces completed, by 1818 Bellini was ready for further study and, logically, this would have to be in Naples. However, family support was limited, but the new intendente of the province of Catania, who came from Palermo, Stefano Notabartolo, the duca di San Martino e Montalbo and his duchess, encouraged the young man to petition the city fathers for a stipend to support his musical studies. This was successfully achieved in May 1819 with unanimous agreement for a four-year pension to allow him to study at the Real Collegio di Musica di San Sebastiano in Naples. Thus, he left Catania in July carrying letters of introduction to several powerful individuals, including Giovanni Carafa who was the intendente of the Real Collegio as well as being in charge of the city's royal theatres. 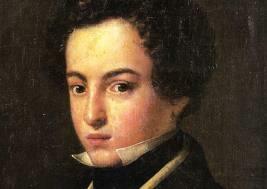 The young Bellini was to live in Naples for the following eight years. However, it appears that his career as a musician was never in doubt. 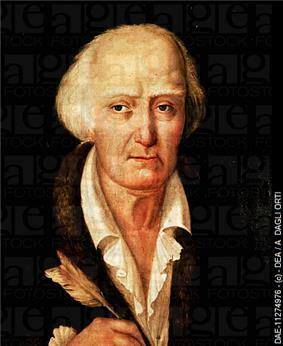 Living with his grandfather after 1816 and learning from him, the young composer began to produce some pieces of music, among them the nine Versetti da cantarsi il Venerdi Santo, eight of which were based on texts by Metastasio. Another author, Stellios Galatopoulos, considers more of the "facts" presented in the précis, but does provide a reliable source for these compositions and expresses some skepticism regarding the young Bellini as being a child prodigy.